Kotobukiya’s Facebook Page has added a new bit of concept art. 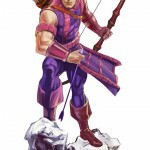 The new image shows off the design of their upcoming Hawkeye Fine Art Statue. 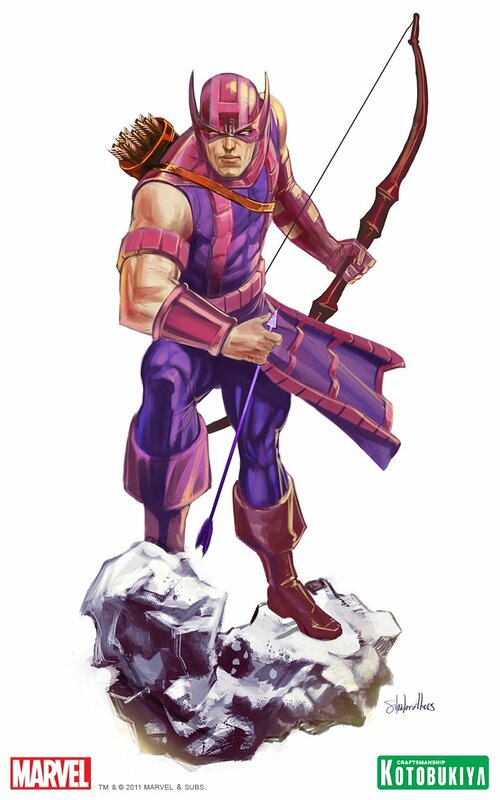 Hawkeye is decked out in his classic Avengers outfit. No release date or other info has been made available. A larger image can be seen by clicking the thumbnail.